The Battle of Thermopylae in 480 BC has long thrived in the realm of pop culture with supposedly 300 chiseled Spartans defending against a horde of barbarous Persian troops. The reality was obviously different from this nigh idealistic presentation on the Western side, with the Greeks actually having around 7,000 men (according to modern estimates) – who nevertheless still managed to hold off a significantly larger Persian army (as in an ‘organized army’, not ‘horde’), thus securing a strategic victory by incurring a tactical loss. But as it turns out, there was another Battle of Thermopylae about 750 years later, and that time around it brought forth the Greek defenders (under Roman rule) against the rampaging Goths (an East Germanic people from late antiquity). The seemingly inconspicuous episode of history (in 250-260 AD) was originally documented in an ancient Greek text written in the 3rd century AD by an Athenian writer named Dexippus. But the text fragments the historians came across (and analysed) are dated from the medieval 11th century AD, and thus thought to be the copies made of the far older and original text. In any case, the researchers made of spectral imaging to assess these fragments in question, thus allowing them to be comprehensible for the most part. And one of these fragments was successfully translated by a duo of lecturers – Christopher Mallan of Oxford University, and Caillan Davenport of the University of Queensland. Like in the case of the poignant letter written by a Roman legionary 1,800-years ago, this read is also quite engaging with talks of battle columns of the ‘barbarian’ Goths and Greek troops rushing forth to their defensive positions at the famed narrow pass of Thermopylae. Making an assault upon the city of the Thessalonians, they tried to capture it as a close-packed band. Those on the walls defended themselves valiantly, warding off the battle columns with the assistance of many hands. …envisioning the gold and silver votive offerings and the many processional goods in the Greek sanctuaries, for they learned that the region was exceedingly wealthy in this respect. Some [of the Greeks] carried small spears, others axes, others wooden pikes overlaid with bronze and with iron tips, or whatever each man could arm himself with. When they came together, they completely fortified the perimeter wall and devoted themselves to its protection with haste. Interestingly enough, Dexippus also mentions the name of the Greek commander – a general named Marianus. This particular figure supposedly gave a rousing speech to his troops harking back to the past exploits of their ancestors at the Battle of Thermopylae in 480 BC. But like any literary cliffhanger, the fragment ends rather unceremoniously, and thus historians are still not sure about the outcome of the seemingly momentous battle. And since we are talking about a literary piece, the speech could have been an invention of the writer himself. 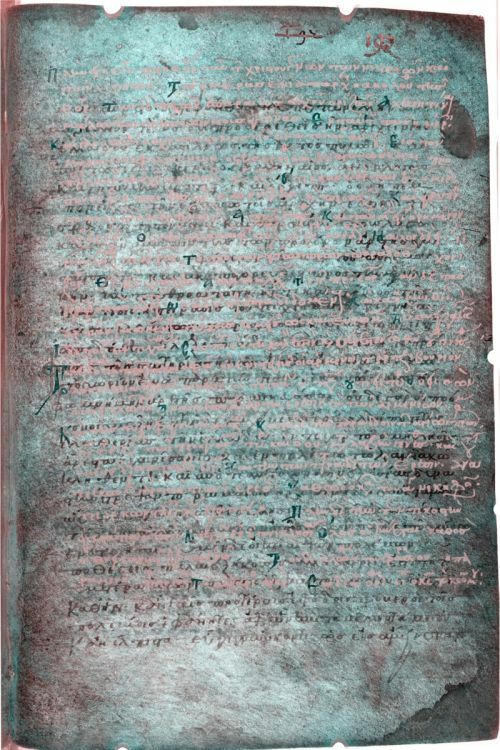 To that end, there are other fragments written by Dexippus and the first of them was translated in German in 2014, by Gunther Martin and Jana Grusková, researchers at the University of Bern and Comenius University in Bratislava, respectively. 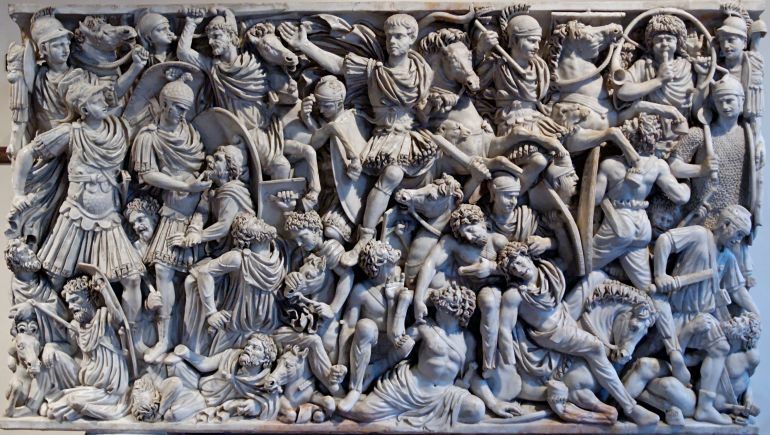 There are also complementary English articles published by the same researchers regarding the fragments – and the overarching narrative seems to suggest that the Roman Emperor Decius (who lived from 201-251 AD) tried to repel the Goths from Greece. But he was probably unsuccessful in his endeavor, by losing both men and territories to the invading enemy. Men, I wish the military force and all the provincial territory were in a good condition and not humiliated by the enemy. But since the incidents of human life bring manifold sufferings…it is the duty of prudent men to accept what happens and not to lose their spirit, nor become weak. Lastly, it should be noted that historically there was possibly yet another ancient ‘Battle of Thermopylae’ in 267 AD when the Heruli (another East Germanic tribe) successfully invaded the Balkans. But a major part of their ‘mixed-band ‘forces (comprising fellow Goths and possibly allied Gepids) was annihilated at the Battle of Naissus two years later by the Eastern Roman troops commanded by Claudius II, who was later given the epithet of ‘Gothicus’. Spectral imaging used for deciphering the fragment. Credit: Vienna, Austrian National Library.